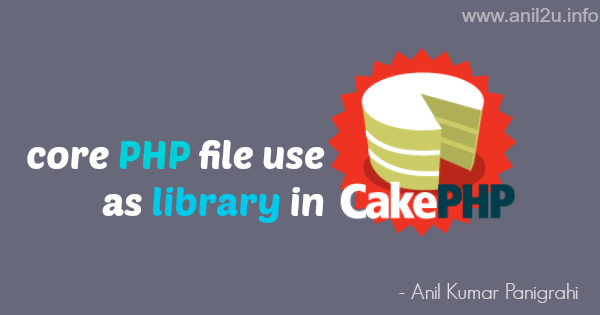 This posts explains about How to create custom library file in CodeIgniter, in earlier we know about how to remove index.php file from URLs. 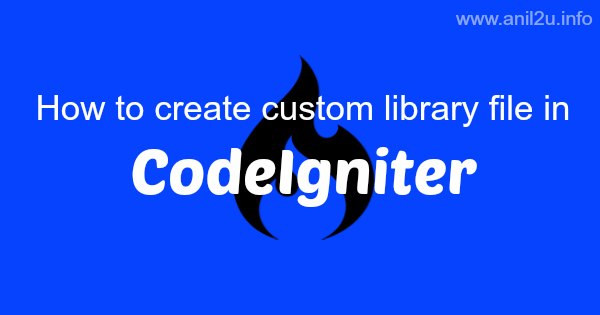 We have follow few steps to create custom library in CodeIgniter. * @copyright Copyright (c) 2015, Anil Labs. Note: We can change description according to your requirement. Thank you so much, your code helped to me. First time i created one library by the help of your code.